Poorly constructed queries to relational databases are by far the most common reason why applications do not satisfy performance requirements. Install Plumbr to expose impeding SQL statements and call stacks. 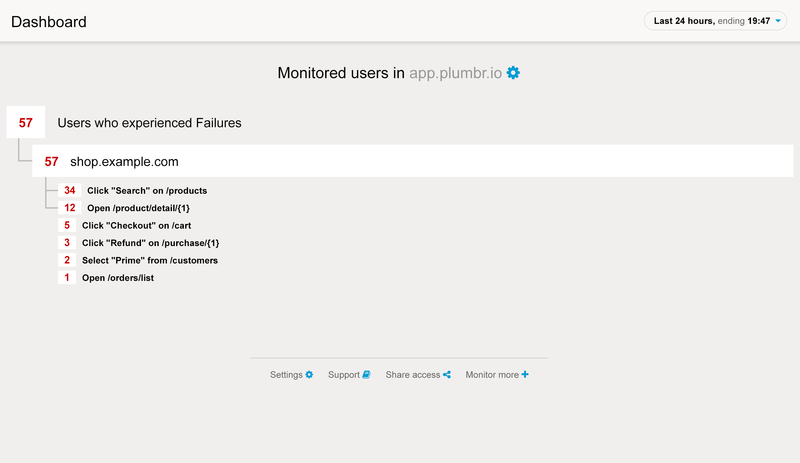 The screenshot above is taken from Plumbr and exposes the root cause for the slow JDBC call. 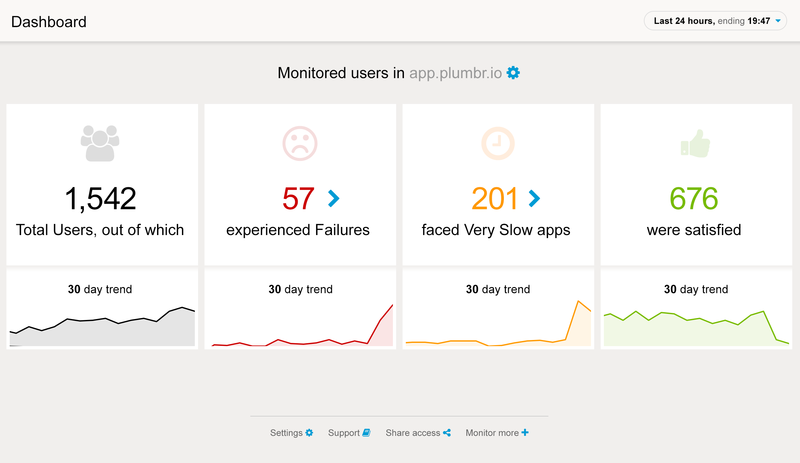 The user experience was impacted in the portal@public.plumbr.eu JVM, which happens to be one of our own production JVMs. What Plumbr has captured is that the specific JDBC call took 14 seconds to complete. As seen, during the last seven days there were 1,357 occurrences of the very same query being too slow. From the above it is clear that in addition of just being a slow query to execute, the very same query is actually executed four times during a single transaction, introducing the second problem to solve. Batching the four similar calls to a single query, removing the need for additional roundtrips to database. 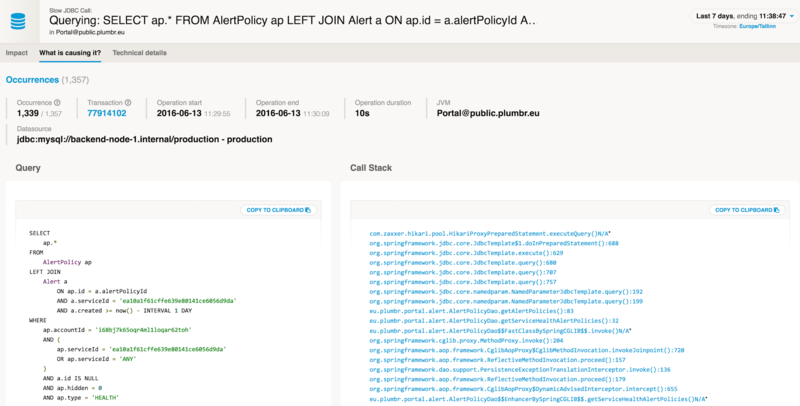 Adding a missing index on the Alert table field “created”. This sped up the query three-fold. Additional gains were achieved when replacing the “LEFT JOIN” construct with “IN (...)” operator, reducing the latency even more. Performing additional steps, such as adding required indexes or changing the data structures in extreme cases.